Former pacer Karsan Ghavri feels that a “good and balanced” Indian team has been picked for the ICC World Cup, but in the same vein opined that Rishabh Pant should also have made it to the squad. “According to me it’s a very good and well-balanced team, but I think Rishabh Pant should have found a place. “The selectors, and a lot of people, think in his wicket-keeping abilities he is no match to Dinesh Karthik. Wicket-keeping is (also) important,” Ghavri told PTI Tuesday. 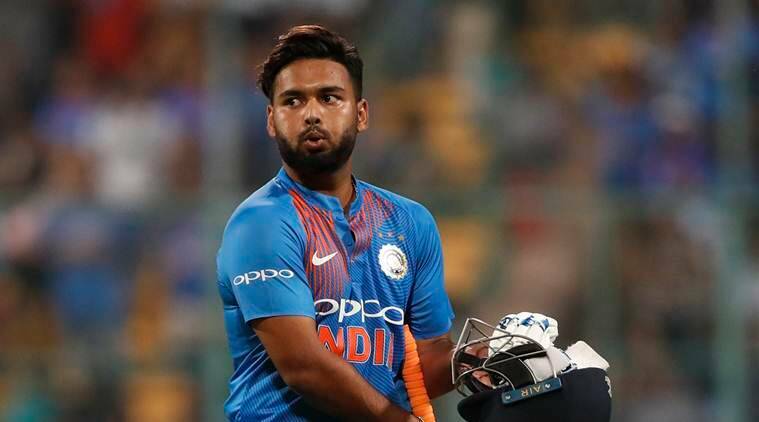 “But he could have been a great advantage because Rishabh Pant, according to me, is a much better batsman. “He is a match-winner and he can win you a match on his own. But whatever the selectors and the captain have thought, I (still) think they have picked the best team,” said the former left-arm pacer who opened the attack for India with the legendary Kapil Dev and was a member of the 1979 World Cup squad. The second wicketkeeper’s spot, with M S Dhoni holding his spot as the team’s No. 1 stumper, was a bone of contention in the selection of the squad for the marquee event starting in England and Wales on May 30. The 33-year-old Karthik’s experience of 91 ODIs gave him the edge over the 21-year-old Pant, according to the five -member selection panel headed by M S K Prasad. Ghavri felt Ambati Rayadu could have come in place of Tamil Nadu all-rounder Vijay Shankar, but also pointed out that the latter’s all-round ability has worked in his favour. “Instead of Vijay Shankar they should have picked Ambati Rayadu, because he is a more experienced player and he has come a long and hard way. “The advantage with Shankar is that he is a batsman who can bowl too. This team, like the one in 1983, has 4-5 all -rounders who can chip in with bat and ball and in fielding. “I am not criticising Shankar’s selection. He is a utility cricketer,” added Ghavri. “Now in the team there are three or four wicket-keepers and batsmen — one is (MS) Dhoni, second is Karthik, (KL) Rahul can keep and (Kedar) Jadhav can also keep and it is a luxury as far as wicket-keeper-batsmen are concerned,” Borde quipped. “He should not (give up) and has a bright future. I am sure he will be in the team soon, sooner than what we (people) expect,” added Borde, who resides in Pune.